Frugal Mom and Wife: FREE Make a Difference Middle School Kit! FREE Make a Difference Middle School Kit! 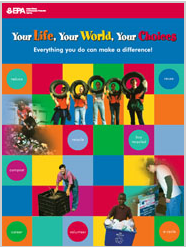 *You Can Make a Difference: Learn About Careers in Waste Management Simply follow the link below and scroll down to select which resources you would like mailed. Allow up to 10 days for delivery. Click Here To Get This Offer!